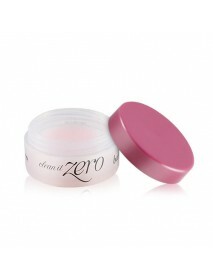 Placenta Deep Cleansing Cream＇Product DescriptionThis cleansing cream spread it in tender with small amount andit is easy to take cleansing with thick make-up.It have placenta(pig) extract and natural extract.It make a role to take the cleansing effe..
Clean It Zero＇Product DescriptionAward winning lightweight sorbet textured makeup removing cleansing balm that whisks away even the tenacious makeup.＇How to useUse the spatula to take a small amount and massage gently in circular motions.Rinse well w..
Clean It Zero Cleansing Balm Nourishing＇Product DescriptionClean it Zero cleansing Balm Nourishing is a hypoallergenic cleanser that transforms from sherbet-like texture into smooth oil when applied onto your skin.It is formulated to remove waterproo..
[BANILA CO] Clean It Zero Cleansing Balm Original [Description] All-in-One sherbet type cleanser that softly melts on skin to remove makeup, exfoliate and hydrate in one simple step.Clean it zero Cleansing Balm Original is a hypoallergenic cle..
[BANILA CO] Clean It Zero Cleansing Balm Original Big Size [Description]All-in-One sherbet type cleanser that softly melts on skin to remove makeup, exfoliate and hydrate in one simple step.Clean it zero Cleansing Balm Original is a hypoallerge..
Clean It Zero Cleansing Balm Purifying＇Product DescriptionGentle sherbet type cleanser that softly melts on skin to remove makeup, exfoliate and soothe in one simple step.Clean it zero Cleansing Balm Original is a hypoallergenic cleanser that transfo..
Clean It Zero Cleansing Balm Revitalizing＇Product DescriptionAll-in-One sherbet type cleanser that softly melts on skin to remove makeup, exfoliate and revitalize in one simple step.Clean it zero Cleansing Balm Original is a hypoallergenic cleanser t..
Clean It Zero Special Kit＇Product Description1. 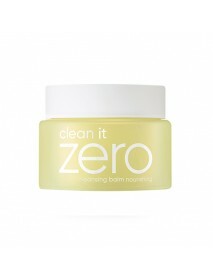 Clean it Zero (Original) 7g Suitable for normal skin, contain acerola and herbal essences for moisturizing skin.2. 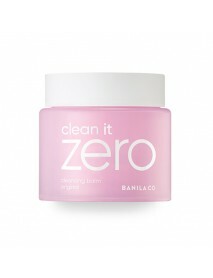 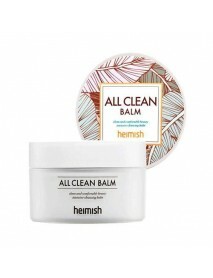 Clean it Zero (Purity) 7g Suitable for sensitive skin, contain no artificlal pigm..
Baking Powder Pore Cleansing Cream＇Product DescriptionThe Etude House's Baking Powder Pore Cleansing Cream is a gentle cleanser formulatedwith baking powder to gently exfoliate your skin and penetrate deep into your poresfor a full and refreshing ski..
[HEIMISH] All Clean Balm [Description] Daily cleanser for removing heavy makeup easily.Spa cleanser with natural aroma oil.Natural vegetable ingredients included for deep cleansing.3-Step transformer texture (Balm-Oil-Milk) [How to use] ..
[INNISFREE] Apple Seed Cleansing Cream [Description] Soft rolling to melt makeup impurities for non drying fresh cleansing.Apple extract and apple seed oil removes dead skin for healthy skin care.Fresh and sweet apple scent [How to use] Use hands..